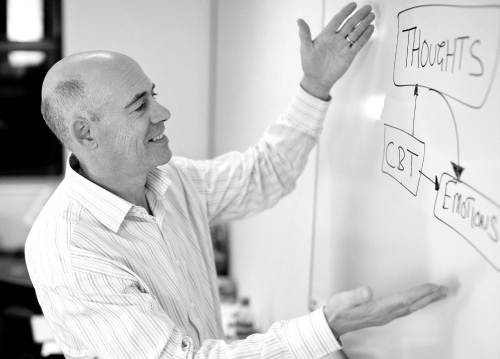 The Berkshire Psychology Service provides an independent psychology, counselling and psychotherapy service for the Reading, Berkshire region, led by Dr David Purves. The benefits of being independent allow us to offer an assessment appointment with a consultant psychologist usually within the week of contact. The service offers assessment and evidence based treatment for a wide range of psychological difficulties. In addition we specialize in the cognitive behaviour therapy (CBT) treatment of trauma and post-traumatic stress disorder (PTSD), depression and a wide range of anxiety disorders. We have a specialist service to treat workplace stress and offer performance coaching in the form of brief tailored interventions. We offer EMDR interventions when needed. We also provide a full medico-legal report service. When you are struggling with a psychological or workplace problem you need to have help when you need it where you need it. In most cases we can help resolve psychological difficulties in relatively few sessions of CBT treatment which makes getting the help you need worth the effort. If you are searching for professional, accredited Cognitive Behaviour Therapy then please contact us. There is more information about who we are and what we do within this website. Please take the time to view it. Your mental well being is worth taking care of. Approved by BUPA, AXA PPP, Kynixia, Norwich Union, Cygnus and other EAP and health insurance providers. Please ask your company for details about your entitlement. Privately funded individuals also welcome.